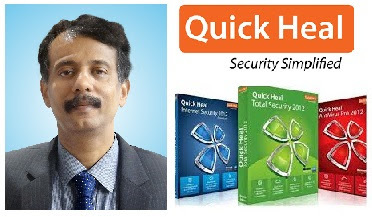 Quick Heal Technologies Limited “Quick Heal”, the leading provider of IT Security products and solutions, today appointed Mr. Nitin Kulkarni for the position of Chief Financial Officer of the Company. Mr. Kulkarni’s appointment has been approved by Board of Directors at its meeting held today. This document may contain forward-looking statements about Quick heal Technologies Limited, which are based on the beliefs, opinions, and expectations of the company’s management as the date of this press release and the companies do not assume any obligation to update their forward-looking statements if those beliefs, opinions, expectations, or other circumstances should change. These statements are not the guarantees of future performance and involve risks and uncertainties that are difficult to predict. Consequently, readers should not place any undue reliance on such forward-looking statements. 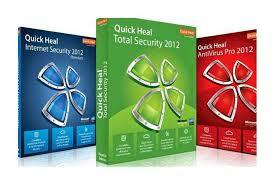 Quick Heal Technologies Limited is one of the leading providers of IT security software products and solutions in India. Incorporated in 1995 with a registered office in Pune, Quick Heal has a network of over 22,000 channel partners as on 31st March 2018. It conducts sales and marketing activities across India. Quick Heal’s portfolio includes solutions under the widely recognized brand names ‘Quick Heal’ and ‘Seqrite’ across various operating systems and devices.